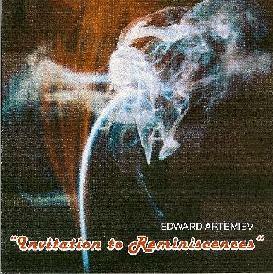 Edward Artemiev - "Invitation to Reminiscences" / "Mood - Pictures"
2010 saw two new releases by veteran Russian composer and electronic musician Edward Artemiev. First is Invitation to Reminiscences. The first three tracks, running over 30 minutes, are described as a poem cycle and are sung in both Lithuanian and Russian. The music is characterized by symphonic electronic progressive rock. The mood and atmosphere is continually shifting and is hauntingly beautiful and even nicely spaced out at times. There's plenty of intensity, but overall the feeling is uplifting, and the Lithuanian vocals by Gintare Yautakayte on the first two parts are potent and beautiful. There are some solos on the first part (White Dove) that almost sound like fiery guitar but must be keyboard produced. The second part (Summer) includes a rocking jazzy song section that has some killer violin and this time the guitar really sounds like guitar but I see none mentioned in the credits. The third part, Astral Downpour, ends the cycle on a darkly symphonic and highly intense note. It's both rocking and orchestral, with the vocals (by Janna Rozhdestvenskaya) switching to Russian for the finale. The remaining 12 tracks are all excerpts from various films and television series that Artemiev composed scores for. It's an enjoyable variety of music, mostly in symphonic, ambient soundscape, classical, and progressive rock realms, but there are tastes of MUCH else as well. 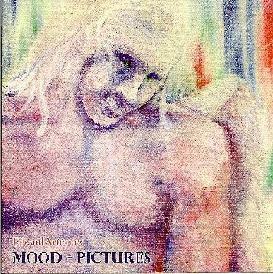 The second CD, titled Mood - Pictures, consists of 18 excerpts from films that Edward Artemiev scored. Many of the tracks are performed by Artemiev while others are performed by The State Orchestra of Cinematography. The first three tracks are from the movie Siberiada, starting off in full orchestra mode, moving into spaced out electronics with a tasty guitar solo, and finishing with a raucous space-prog assault. Nice! Other highlights include the symphonic Klaus Schulze-like Fox Hunting. Credo is a high intensity orchestrated piece with a Phantom of the Opera vibe that covers a tremendous amount of territory in barely over 2 minutes. There are three tracks from the movie The End of Eternity. It starts off as an angelic choir driven piece, moving into fast paced thematic electronic space rock, and finishes up in dark foreboding symphonic prog mode. And I like the mixture of space electronica and soundscape atmospherics on Dialog With A Computer. The rest of the tracks are mostly progressive and symphonic rock, much of it pretty spaced out. Also, like on Invitation to Reminiscences, there are some tracks that have a classic soundtrack theme feel, like television shows from the 70s. Both excellent albums though Mood - Pictures is my personal favorite of the two. For those who are unfamiliar with Edward Artemiev's work, he is a true pioneer on the Russian electronic music scene. There's good biographical information on the Electroshock Records web site and you can also see Aural Innovations issue #40 for a review of a biography published in 2007 titled Edward Artemiev's Musical Universe, written by Tatiana Yegorova.